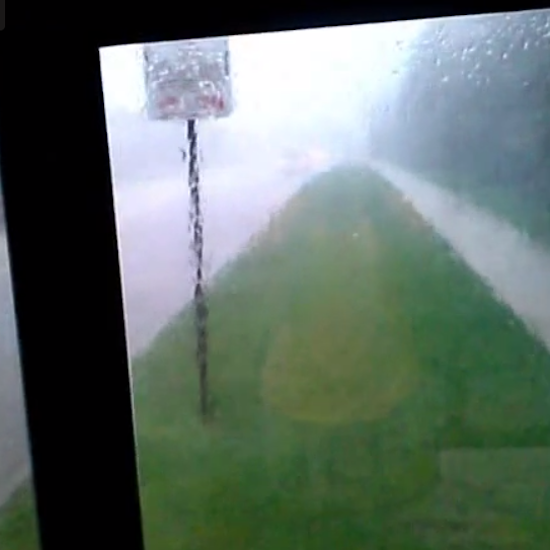 Posted on Fri, Jun 28, 2013 : 5:58 a.m.
View a breakdown of Thursdays storms as seen through short videos posted to Twitter and Instagram. Click on the links above each image to view the video. 1. 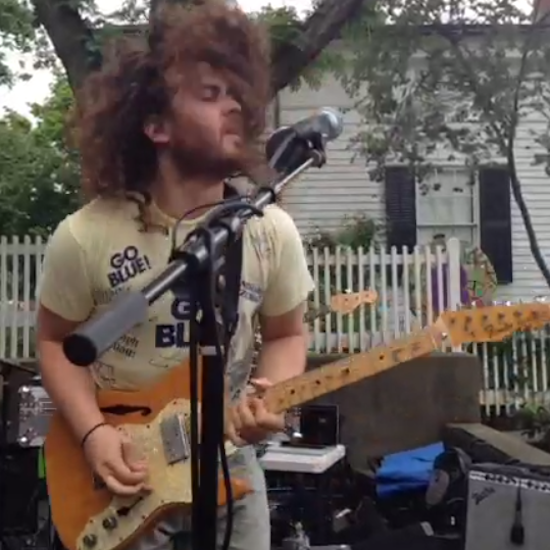 Fans filled Liberty Plaza to see Dale Earnhardt Jr Jr perform at Sonic Lunch. 2. Then the skies suddenly turned gray and it began to rain. 4. The sewer system started to get backed up. 7. 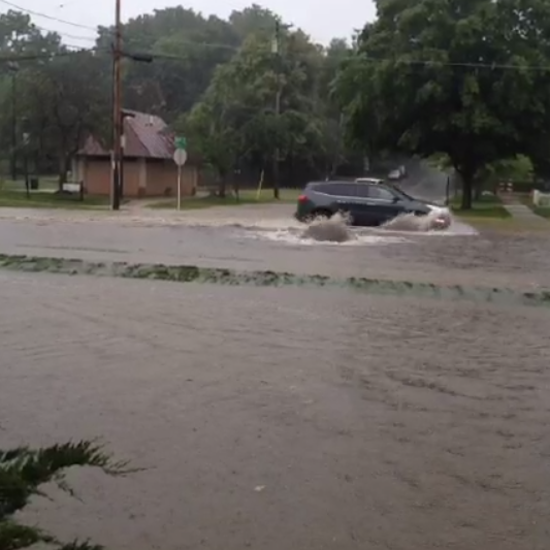 Motorists tried to drive through the flooded streets. 8. 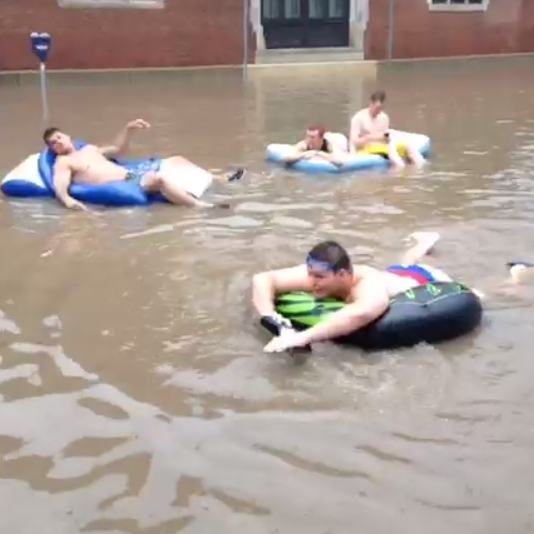 Then students had the idea to float along State Street. 9. 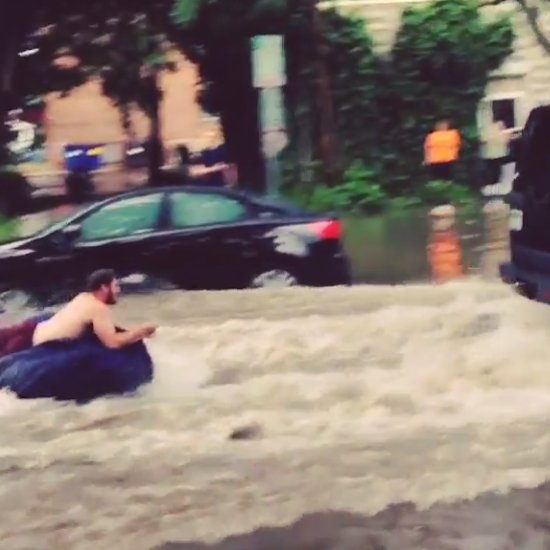 An SUV towed someone on a tube. 10. 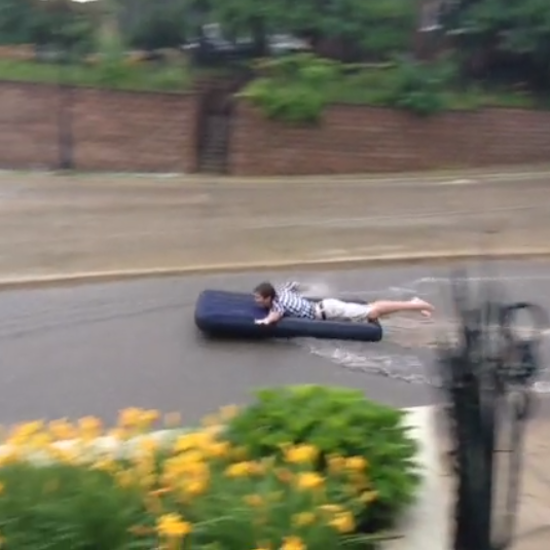 Someone else floated on an air mattress down Detroit Street. Fri, Jun 28, 2013 : 5:13 p.m.
You guys are just no fun! Lighten up, childhood cannot be THAT far away...life is short , PLAY, Get dirty, float. Fri, Jun 28, 2013 : 4:18 p.m. Please, city council, make spending our limited funds on upgrading our inadequate sewer system a top priority! 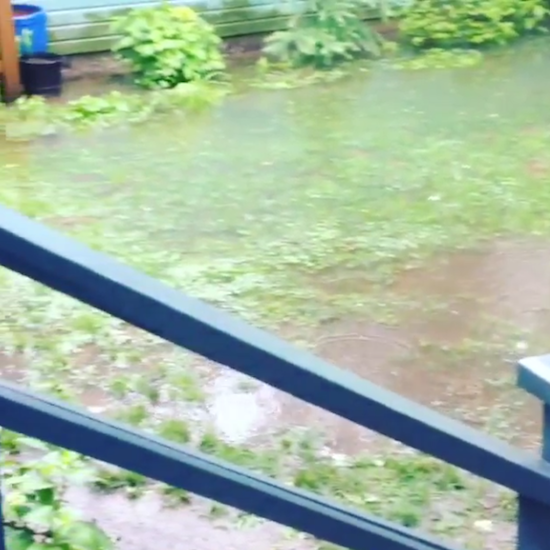 Glad that it is fun for some of us, but it is a very unfortunate circumstance for those whose homes were flooded. Sun, Jun 30, 2013 : 12:31 a.m.
Brad, You just reminded me of the 1968 flooding of the apartments off Maiden Lane; and the park behind them got flooded again, within the past three years. Sat, Jun 29, 2013 : 2:42 a.m.
Fri, Jun 28, 2013 : 11:13 p.m.
Update - one of the weather people called it a &quot;50 year event&quot; so I guess it was more unusual than I was originally thinking. Fri, Jun 28, 2013 : 4:45 p.m. I've never seen that kind of flooding here and I've lived here a while. Fri, Jun 28, 2013 : 2:36 p.m. So who was playing at the Ark ? Sat, Jun 29, 2013 : 2:43 a.m.
Fri, Jun 28, 2013 : 2:02 p.m.
Is this some college students flickr account or a professional news site? Sat, Jun 29, 2013 : 2:45 a.m.
Fri, Jun 28, 2013 : 7:21 p.m. I agree. Couldn't they even be bothered to get a little information about the storm? 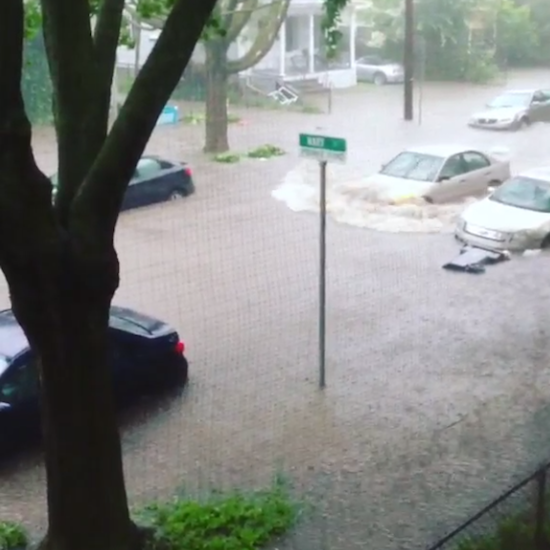 How about how many inches of rain fell per hour to cause this flooding? Fri, Jun 28, 2013 : 6:01 p.m.
We liked the visuals to supplement the traditional reporting. It's our most-read story of the day and in the top 10 for the month - so it seems like many readers wanted to see it. 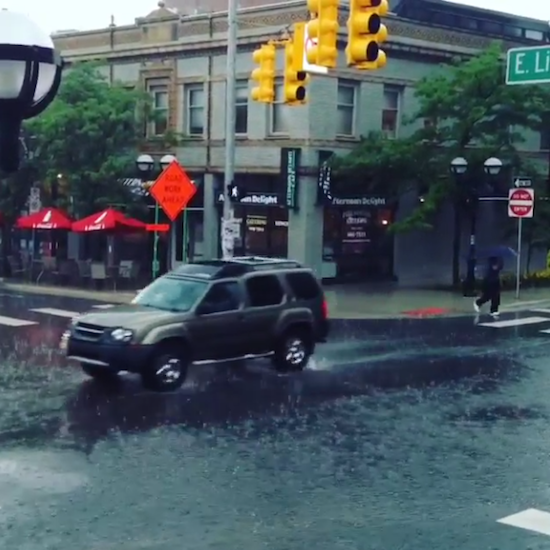 Send me your feedback, though, if you like: PaulaGardner@annarbor.com. Fri, Jun 28, 2013 : 2:41 p.m. It's the New Media. Eyes everywhere. Better than the old days, when photogs had to GET TO DA CHOPPA! Fri, Jun 28, 2013 : 1:36 p.m. Forget the Cholera, I'd worry more about those fish with barbs that like to swim up.. up tiny holes! Sun, Jun 30, 2013 : 5:51 p.m.
Sun, Jun 30, 2013 : 12:27 a.m.
You mean up one's PORES? I've heard of skinny dipping prohibitions off Florida's Atlantic coast being lifted, because some tiny sea creatures had a tendency to get into swimwear, get under it, and be carried along by the swimmer, causing wounds wherever they attack one's skin; held in place by one's clothing. Did you read about the below-ground swimming pool owner in New Jersey who discovered FISH in his swimming pool this spring, when he uncovered his pool? Not piranhas, fortunately. Hurricane Sandy somehow brought them into his pool. Fri, Jun 28, 2013 : 12:52 p.m.
Failed infrastructure, another side of The Mayor's Pure Ann Arbor. And during the rainstorm, the City Water Fountain Art sculture was as dry as the Sahara. Fri, Jun 28, 2013 : 9:36 p.m.
Fri, Jun 28, 2013 : 4:30 p.m.
Sure you don't mean half empty. Not that there's any difference in actual water volume. Fri, Jun 28, 2013 : 2:46 p.m.
in a town drenched, even overflowing with water yesterday, some people's glass remained half full. Fri, Jun 28, 2013 : 12:31 p.m.
Fri, Jun 28, 2013 : 1:28 p.m.
Maybe there's such a thing as Jayfloating? Fri, Jun 28, 2013 : 12:33 p.m.
Is there such a thing as jayboating? Fri, Jun 28, 2013 : 12:27 p.m.
Fri, Jun 28, 2013 : 12:01 p.m. So glad I live on a higher ground (figuratively and literally). Fri, Jun 28, 2013 : 11:07 a.m.
And all the kids who got &quot;Love In The Time Of Cholera&quot; on their summer reading list are just as happy as a thriving colony of pathogenic cells in a rich agar broth. Fri, Jun 28, 2013 : 12:18 p.m.
Fri, Jun 28, 2013 : 10:59 a.m.
And the the guy, on the raft, in the yellow bathing suit dropped his phone. The party was over. Bummer. Fri, Jun 28, 2013 : 10:38 a.m. Except for the traffic and the probably very dirty water, it looks like fun. Fri, Jun 28, 2013 : 5:10 p.m.